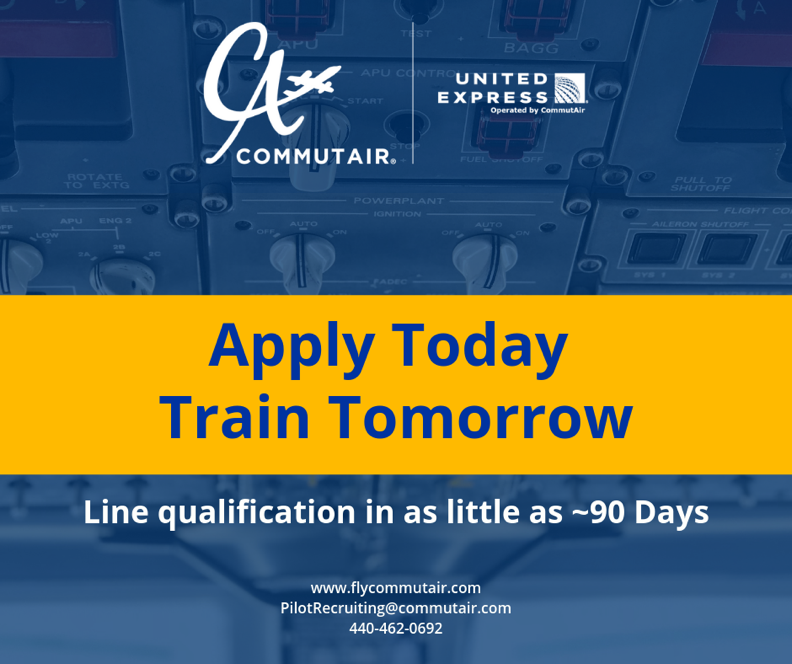 CommutAir - Apply Today, Train Tomorrow! Long waits are common around the holidays but not at CommutAir. CommutAir has recently revamped resources in their Flight Training Department which offers new hires a smooth and seamless training footprint. With multiple sim locations across the country to their newly expanded Flight Training Center – pilots can expect line qualification in as little as - 90 days. Visit www.flycommutair.com or contact PilotRecruiting@commutair.com for additional information.